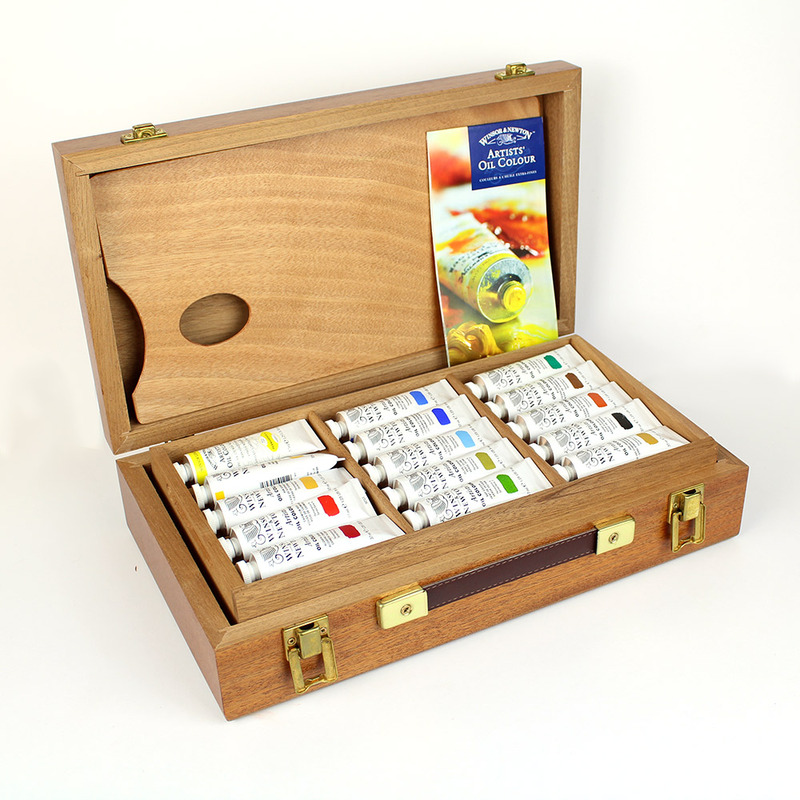 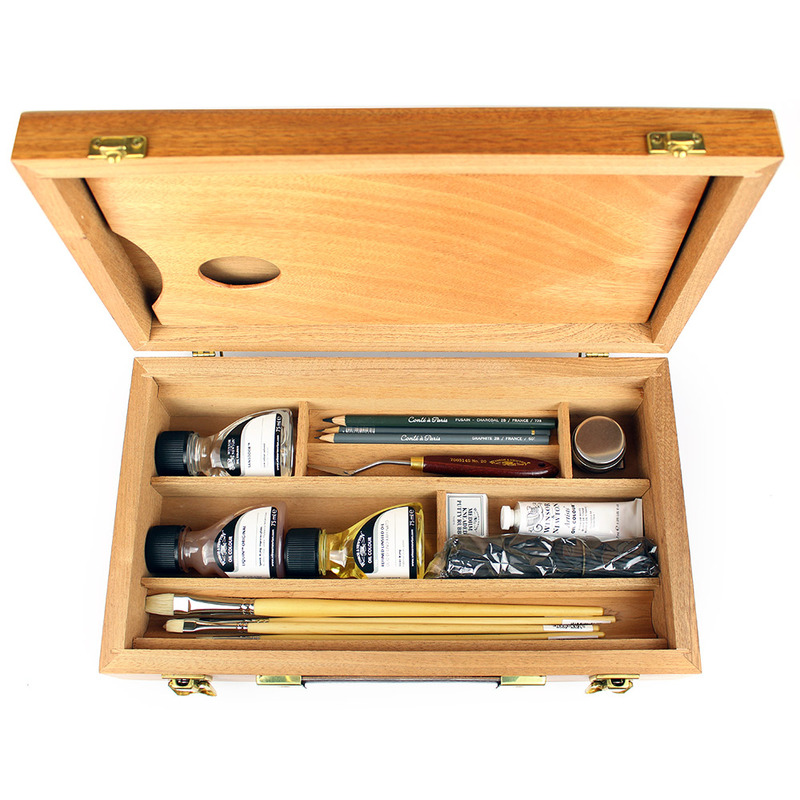 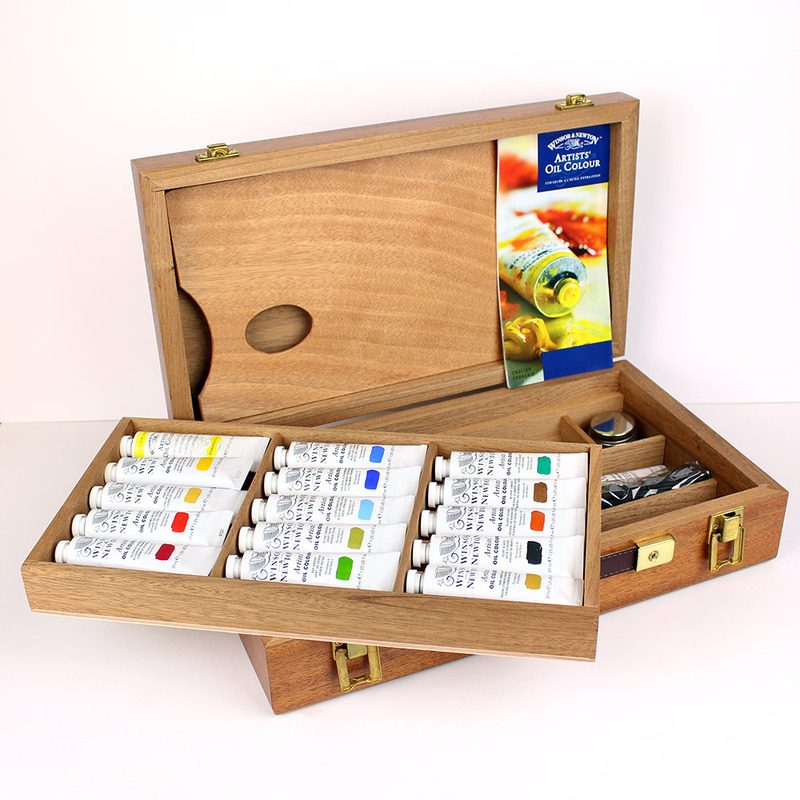 A top quality compact Artists' Oil Colour Box in solid mahogany with carrying handle and lift out tray of tube colours. 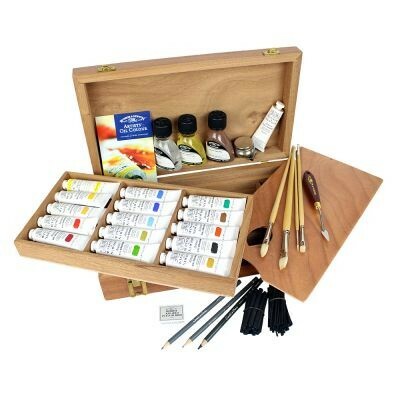 • Winsor & Newton Assorted Willow Charcoal. 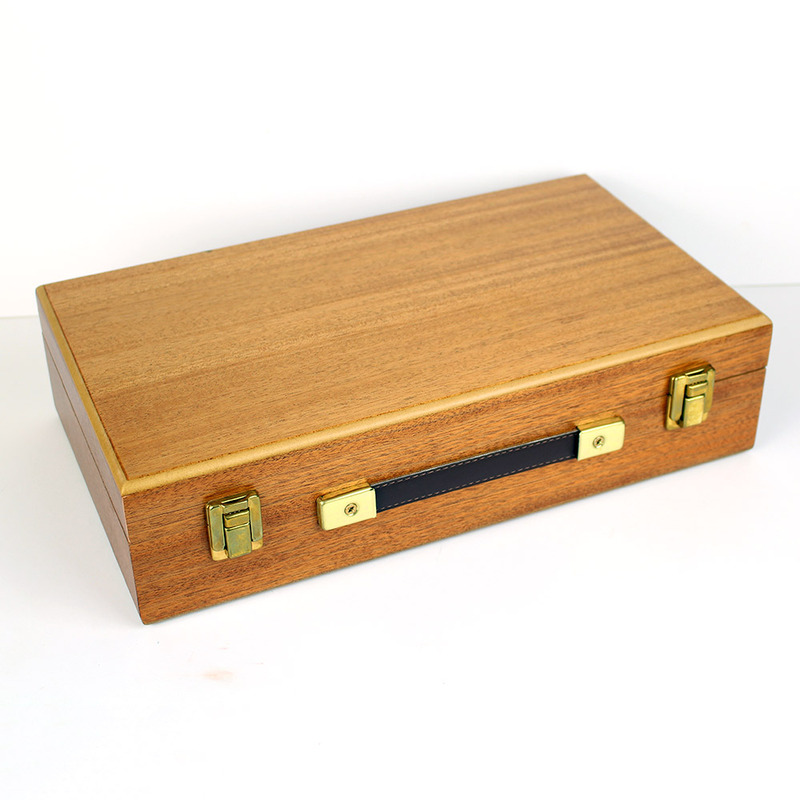 Width 39.5cm x Depth 22.5cm x Height 10cm.